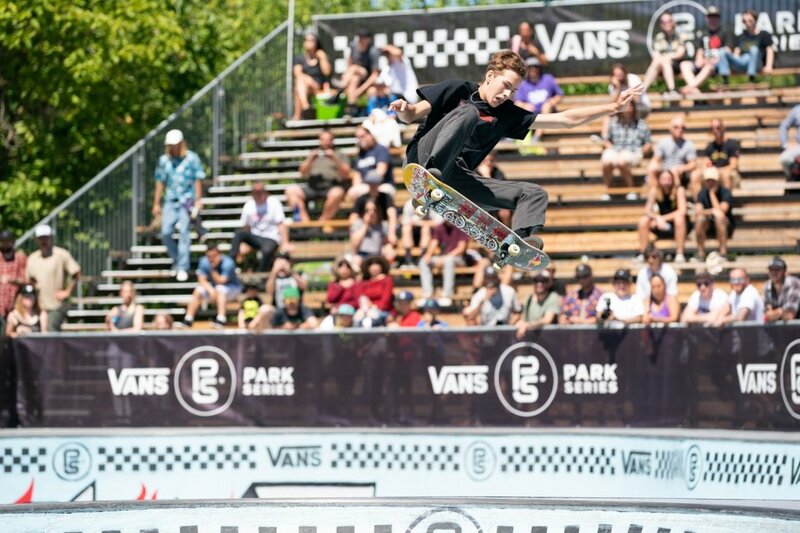 Vancouver, CANADA (July 13, 2018) – Vancouver’s legendary Hastings Skatepark felt the heat today as the world’s best park terrain skaters charged the iconic course for the second stop of 2018 VPS Men’s Pro Tour. Showcasing an ambitious field of challengers and wildcards from all over the world including the United States, Canada, France and Brazil, the VPS Vancouver prelim rounds highlighted exciting performances from Keegan Palmer (AUS), Willy Lara (USA), Murilo Peres (BRA), and Canadian favorite, James Clarke (CAN), who competed as an event wildcard. Leading the pack for his first appearance on tour in 2018 and advancing to tomorrow’s semi-finals, Jagger Eaton emerges back into the VPS spotlight, finessing fast, tech-heavy lines inside the massive Hastings course. 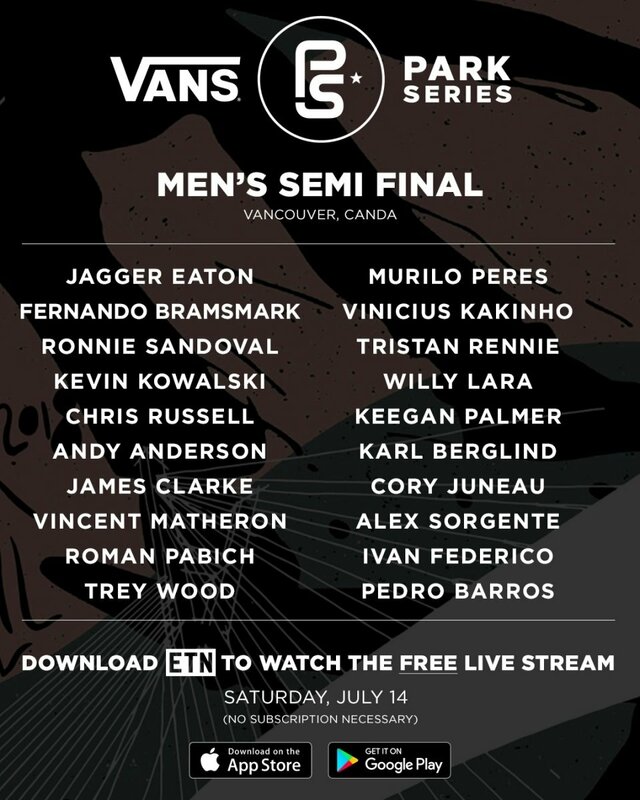 See below for the full results from today’s preliminary rounds, and visit vansparkseries.com for the final list of skaters moving into semi’s tomorrow.